As more established bloggers have argued before, there is something essentially wrong with job interviews in our industry. 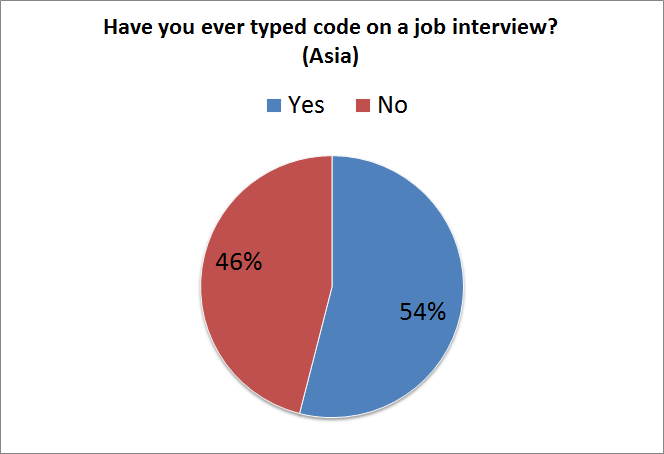 Software companies hire developers without even making them touch a keyboard. As long as you talk the walk you are able to land yourself a decent position. There are complete lists of .NET interview questions out there, which should, with enough preparation, make it possible for a somewhat technologiable person to ace the average .NET interview. To get an idea of the state of job interviews today, I asked Twitter and the Reddit crowd about their experiences. Have you ever typed code on a job interview? If you did, how often? I used this survey to gather the responses. 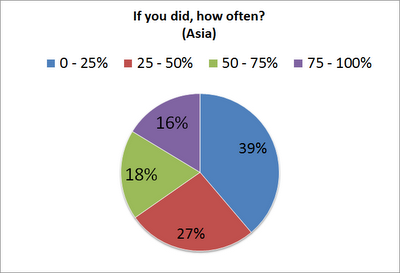 The survey has received 1360 answers so far. 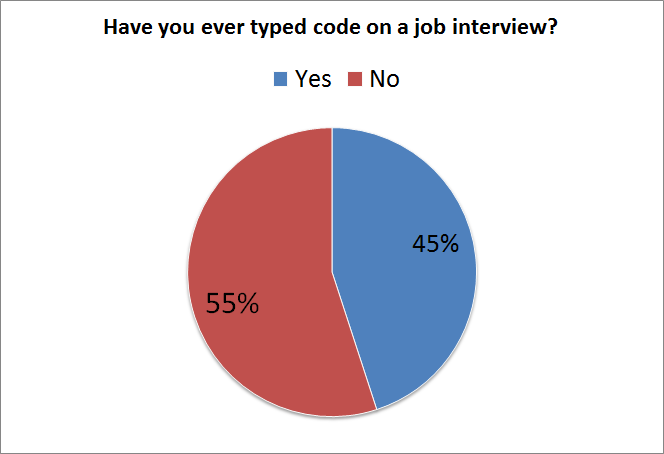 Out of those 1360 developers, only 45% has ever typed code on a job interview. 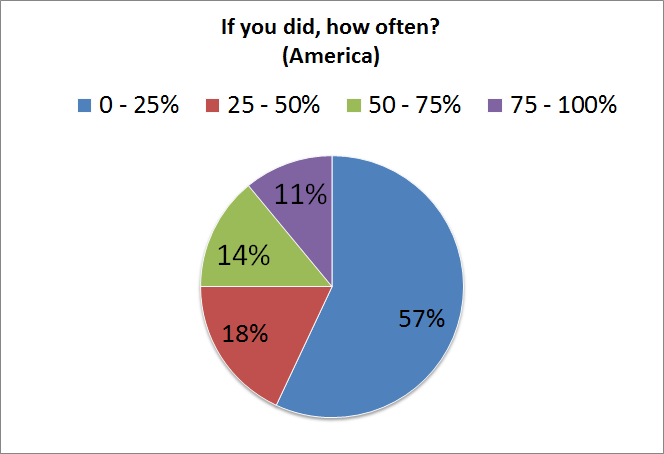 To make things worse, of those 45%, only a small percentage had to do it often. 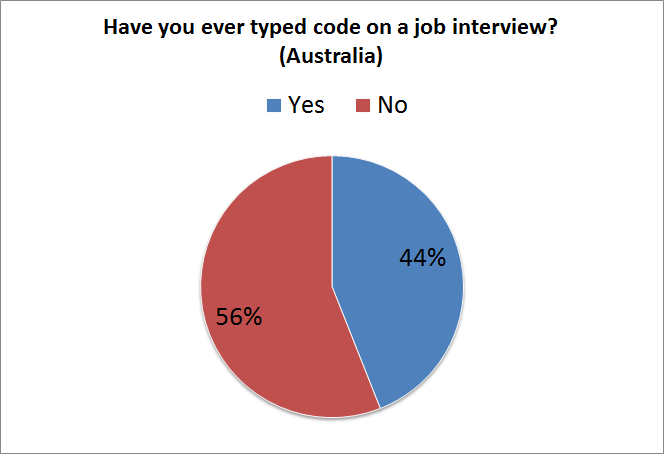 So, I wonder, if you were in a position to hire developers, would you make them code? Would you at least make them solve FizzBuzz? If you are in a position to call the shots, why aren't you making us type? Do you think there is a correlation between making interviewees type and the programming language? 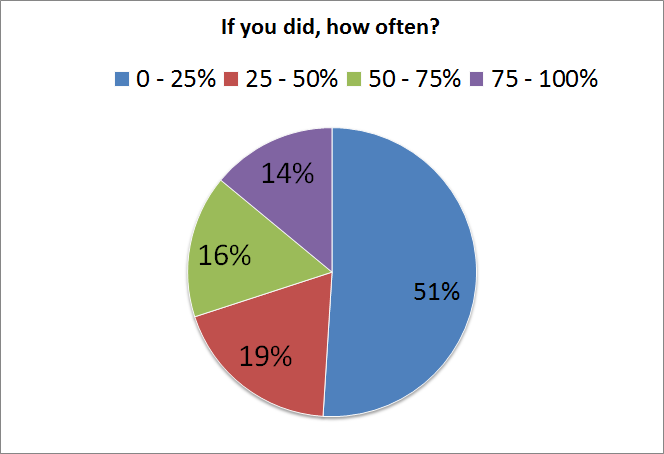 Are small companies more likely to make you type? 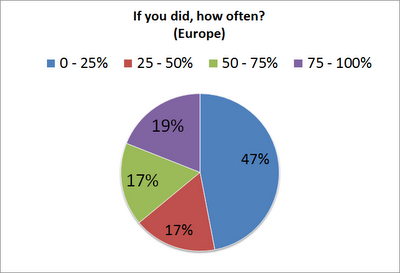 Are great companies more likely to make you type? 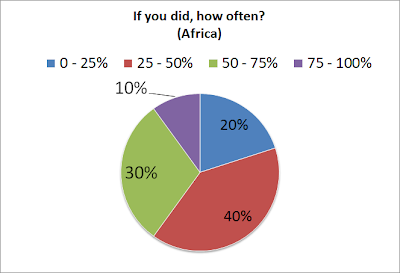 I also did the math per continent. Turns out there are differences, but they are marginal and probably sample size related. The sample size for Africa and Asia was the smallest. I've read that FizzBuzz post a couple of years ago and never found it back, until now!